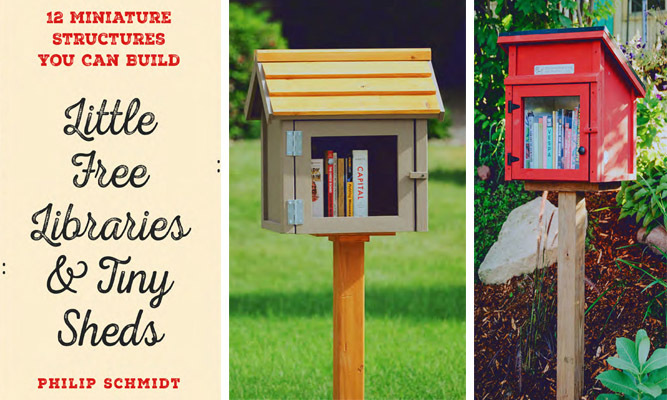 We're excited to announce the debut of Little Free Libraries and Tiny Sheds: 12 Miniature Structures You Can Build from Cool Springs Press! The book provides a thorough and thoughtful guide to help you through every step of the Little Free Library building process. From planning and materials to tools and proper installation, this how-to book is a must-have! While this contest is open to all Little Free Library supporters, if you're a registered steward, be sure to enter your charter number in the form below. Registered stewards who win a copy of the book will receive an additional surprise gift! Contest runs through April 30, 2019 at 11:59 p.m. CT. 10 winners will be randomly chosen to receive one copy. Limit one (1) entry per person. Open to residents of U.S. and Canada only. Must be 18 or older to enter.